Collecting information about all ribbon speaker brands is almost impossible. Anyway I have decided not to do what someone has done before. Therefore please see the above links. Just be aware, that some consider magnetostatic and the MBL-drivers as ribbons? I have put these speakers in their own cathergories. 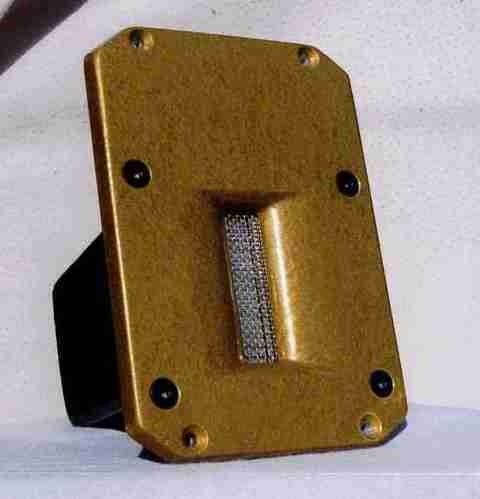 The ribbon loudspeaker started out allmost 50 years ago as a dedicated very high frequency and high quality alternative to the dome and cone tweeter. A true ribbon is defined by a thin ribbed alu-foil which act as the actual voicecoil. 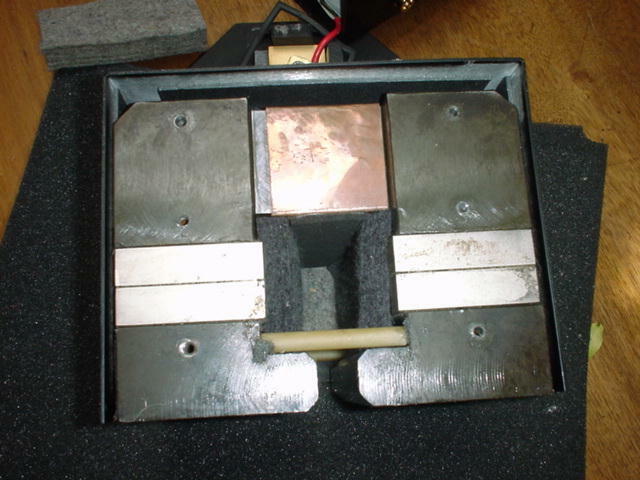 Due to the very low impedance this is transformer coupled to the amp. The ribbon was first introduced by Quad, but a few years later developed by Stanley Kelly. 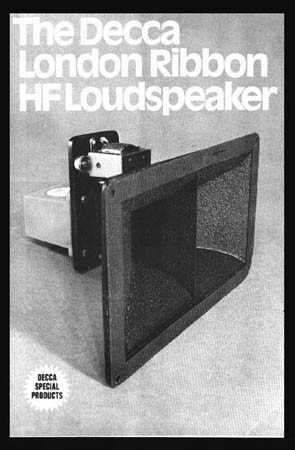 His speaker was the Kelly 30 with a rather small horn which was positioned vertically. His design was taken over by DECCA who manufactured the DK30 (Decca Kelly 30) and the bigger Decca London Ribbon. The ribbon has a very small excursion. The powerhandling is therefore very low: 20 Watts. To much power will break the thin aluminum. Without special measures it can be used from 7 kHz on as the DECCA Super Tweeter shows. Dynamic Propulsion/Ultra Propulsion drive Ribbon transducers. 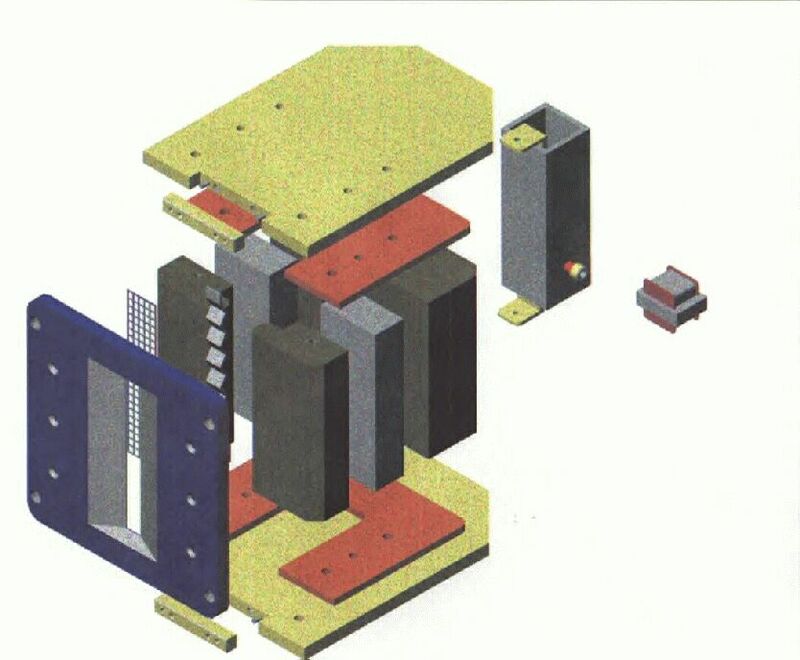 A new type of ribbon speaker technology adresses and solves the limitations that so far have plagued even the best of existing ribbon speaker designs: poor power capability, non-linear magnetic fields, a limited X-max and a tendency to overemphasize the top end. A new company which make complete speaker systems as well as really wide-range ribbon transducers to be used without any impedance matching transformers. The big ones have up to 1" of linear excursion! 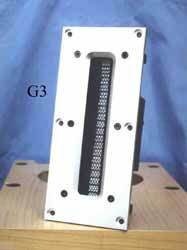 One of the smaller ribbons - the 2" mid/high frequency ribbon. Ultraprop - Worlds first full range ribbon transducer made for headphones! These Orcadesign ribbons are among the best, and the most (insanely) expensive ribbons on the market. The series comprises 3 models, with the big R3.1 at the top. It features a +100 dB sensistivity and a usable frequency range from 500 to 40.000 Hz. Please note, that the Ravens have a reputation as being very fragile. The ribbon breaks when not crossed over correctly. On the right a look inside the Raven R 3.1. What is that in the back (not the transformer)? A 3rd magnet or something else between the righ and left polepiece? Manufactured in China, these new ribbons are sold world-wide under different names. They could be considered as a very good alternative to the Ravens, with absolutely compareable qualities. The HRL-1 is a hand-made thoroughbred ribbon tweeter/supertweeter of the highest quality intended to fill the void left by the demise of such units as the Decca/Kelly. The traditional criteria for a high-performance ribbon tweeter have been reinstated. With a massive "Alcomax-III" cobalt-based magnet assembly and a minimum-inertia aluminium diaphragm weighing only 0.01gm, the response extends to well beyond 30kHz with useful output being detectable at frequencies beyond 50kHz. The latest version of the T-1 is the T-1 Mk. IV. 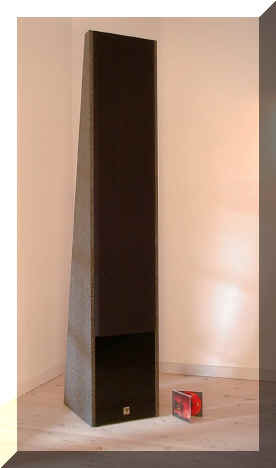 • Sensitivity: 1w /1 meter 10kHz 96dB SPL. • Polar Response: 10kHz Vertical 90° - Horizontal 170°. • Frequency Response on Axis: ± 2dB 1.6kHz to 60kHz. • Maximum average power: 1.6kHz to 60kHz - 40 watts RMS. • Harmonic distortion: @115 dB - less than .15%. • Crossover frequency: 1.8 kHz. 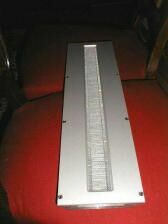 • Crossover Slope: 1st Order Electrical, 2nd Order Acoustical. • Ribbon Size: 1" Wide x 7 1/2" Long. • Ribbon Mass: Less than 7 milligrams. 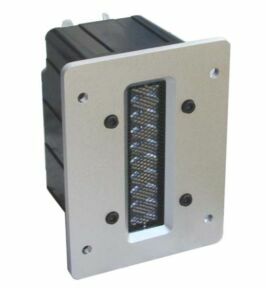 • Magnet assembly weight: 24 Lbs. • Net weight each: 31 Lbs. Price US$ 4.000 the pair. 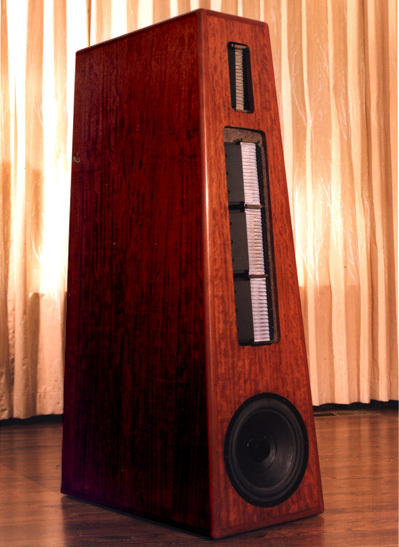 Mk IV signature loudspeaker from Sequerra featuring the T-1 Mk. IV in the top and new midrange ribbon drivers. The PT-R9 is a true "high end" ribbon. Covering the range fro, 5-120 kHz with a sensitivity of 97.5 dB is truly amazing - but so is the price! Generally considered as the best high range ribbon tweeter at all. 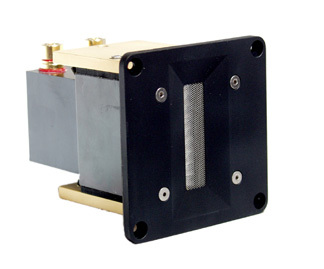 TAD, Technical Audio Devices, introduces model PT-R9 Super High-Frequency Ribbon Tweeter designed to support today's rigid demands for DVD Audio sound reproduction in both the Professional Studio Application and Home Theater sound. Featured in this new Wide-range Tweeter is a Super-Light Beryllium Vibration Board for excellent range of audio reproduction from 5 K to 120 kHz. Also featured is our newly developed, Full-Surface Drive technology which is made possible by the use of advanced Alnico 750 magnet, with its high-precision magnetic structure. The first full range ribbons. On the right the BKS 175 supreme - the type no. indicates the height - 175 cm! The ribbon itself is allmost 1 meter high. This is NOT a ribbon!!! But they claim that it is. At the same time they show quite clearly that it is some kind of hybrid ribbon/dynamic speaker. In fact quite interesting, but why then call it a ribbon?